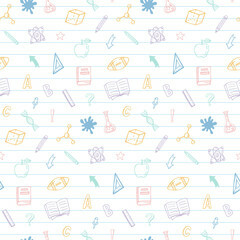 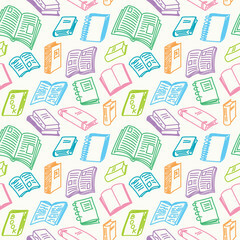 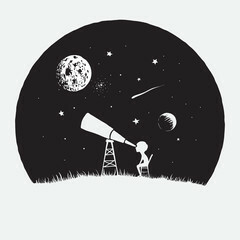 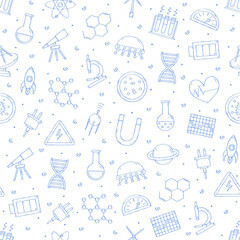 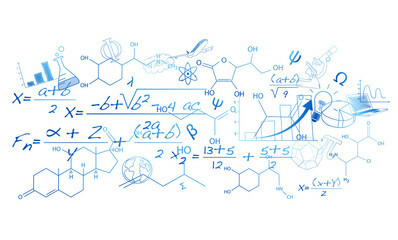 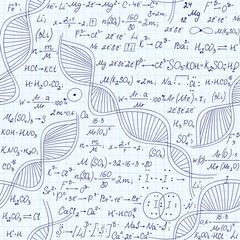 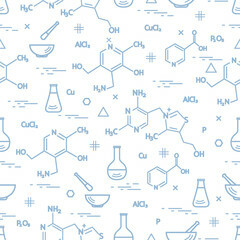 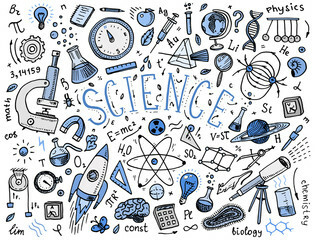 Seamless pattern with variety scientific, education elements: flask, formula, pestle and other. 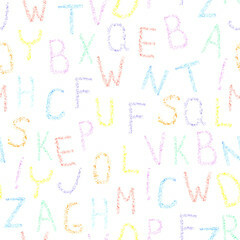 Font pencil crayon. 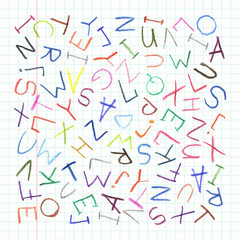 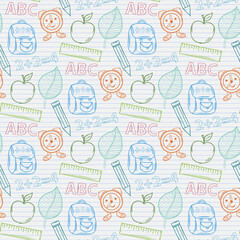 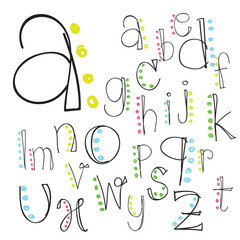 ABC chalk letters seamless pattern for print on fabric, wrapping paper etc. 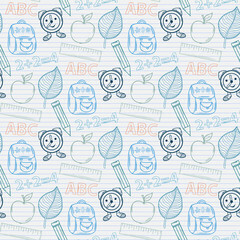 Handwritten vector illustration. 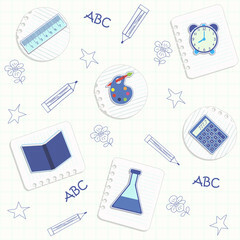 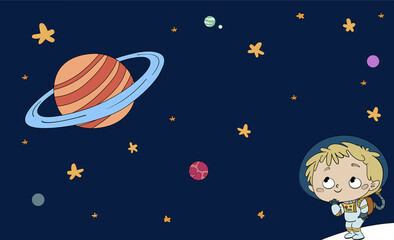 School theme. 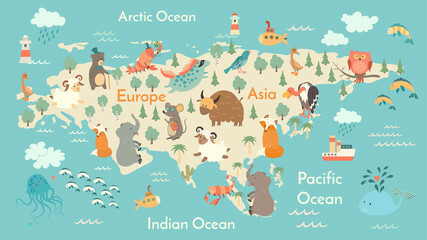 Animals world map, Eurasia. 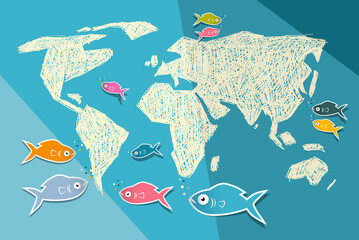 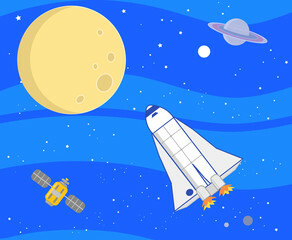 Vector illustration, preschool, baby, continents, oceans, drawn, Earth.